Custom House Flashlight Keychains Personalized in Bulk. Promotional, Inexpensive. 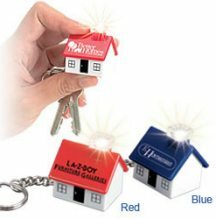 Bulk personalized house keychain flashlights with bright krypton white lights and fast production. Quality built in three dimensions, our House Light will make a memorable giveaway for any realtor, builder or contractor for years to come. Free artwork design. We will send you a proof for your approval before production. Budget Prices in USA and Canada for personalized house flashlight Keychains in bulk. American clients pay no taxes. Prices below include your 1 color custom imprint. The unit prices are for the standard production of 5 working days . We also supply blank (not custom imprinted) house flashlight key chains for $2.15 each (minimum 125). Setup Charges: $40 per color/location. No charge for exact repeat order. Additional imprint color or location add $0.20 per key chain per color or location. Production Time: 5 working days after artwork approval. Rush production is available: contact us. 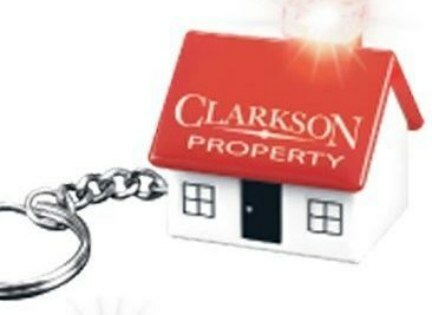 Blank (not custom imprinted) house flashlight keychains ship next day. Product Size: 1 7/8" x 1 5/16"
Imprint Area: Roof: 1 1/4" x 5/8"
Production Time: 5 working days after artwork approval. Rush production is available: contact us.